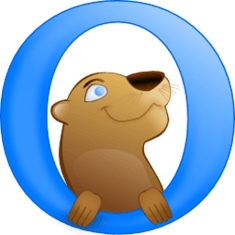 Otter web browser is a free and open-source project started half a year ago. It aims to recreate classic Opera (12.x) UI using Qt5. As you may know, the last release of Opera for Linux is one year ago on June 3, 2013, and there probably won’t be a new release because Opera has abandoned the Linux platform (See the Hacker News). 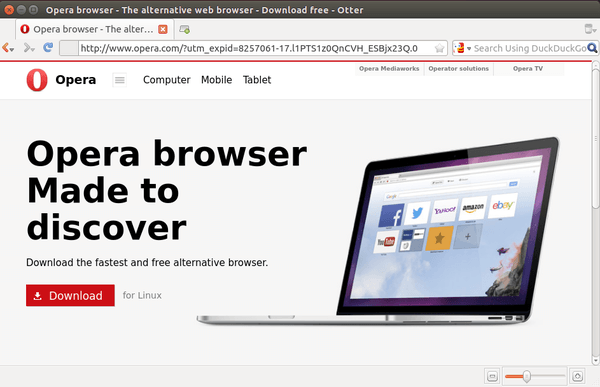 The Otter browser aims to provide users who like the classic Opera interface and functionality. The browser is based on the QtWebKit, but the author plans to add support for other browser engines. The developer notes that Otter won’t be a full clone of Opera. It will lack some features, Unity or widget supports for instance, and improve others. NOTE: Otter browser is in very early stage. It may or may not work, use it at your own risk. Ubuntu users download the .deb package and click install via Software Center. You may check out OS type 32-bit (i386) or 64-bit (amd64) via System Settings -> Details. Once installed, start browser via otter-browser command, you’ll be able to launch it from Unity Dash search results after reboot. Software Center tells me the package is bad.